Doctor Who: Stories From The Scrapheap - GENESIS OF THE CYBERMEN | Warped Factor - Words in the Key of Geek. Christopher Morley digs around in the archives to discover another scrapped Doctor Who story. Having seen the Doctor present at the creation of one of his most iconic enemies in his past incarnation, you might imagine the viewing public would be hungry to see more of the same following Tom Baker's departure after seven years in the TARDIS. But Peter Davison, the man arising as the new Doctor after something of a merger with the ghostly form of the Watcher, was not to be granted such an opportunity, though writer Gerry Davis was keen to give the Cybermen an origin story of their own. Sadly, recently-appointed producer John Nathan Turner was in no mood to indulge the man who had earlier served as script editor from 1966-7 and co-created the men from Mondas with Kit Pedler in time for The Tenth Planet. 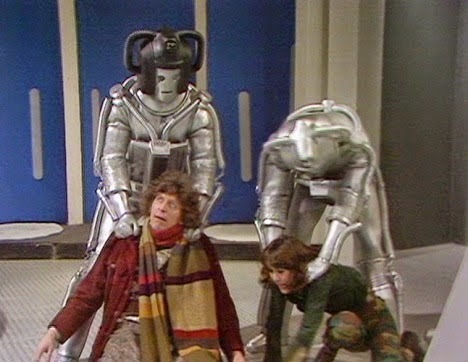 As its name implies, Genesis Of The Cybermen was intended as a prequel to the First Doctor's tangle with them! With no decisions having been made at the time regarding the new Doctor's companions, Davis simply made up a new one, a young lady by the name of Felicity. "The Doctor and his companion “Felicity” arrive on the planet Mondas, Earth's twin orbiting on the opposite side of the Sun. While the Doctor works on a piece of TARDIS equipment, Felicity encounters the gentle Prince Sylvan. Sylvan accidentally activates the TARDIS, sending him, the Doctor and Felicity fifty years into the future. There, Sylvan's brother, Dega, is now king and has used the Doctor's device to begin turning his people into Cybermen. He has constructed a space fleet with which he intends to invade the mineral-rich Earth, and plans to kill any unconverted Mondans with cyanide gas. Felicity appeals to Dega's partly-Cybernised wife, Queen Meta, and she shoots her husband dead -- only to be killed by Dega's chief of staff, Krail. In the confusion, Sylvan and a band of Mondan rebels flee in the spaceships to Earth; the massive concussion of take-off knocks Mondas out of its orbit into deep space." Which thusly ties in with the facts as given when the Doctor was younger but looked a lot older than he will once his first full story post-regeneration in his newest body is broadcast! "Listen to me. This close proximity of our two planets means that one has to be eliminated for the safety of the other. The one to be destroyed will be Earth. We cannot allow Mondas to burn up. If you help, we will take you all back to Mondas with us. There you will be safe..."
Dealing in absolutes from the off! Though eventually of course the homeworld ruled by King Dega at its screen outset (had Genesis Of The Cybermen been commisioned) is destroyed. BARCLAY: The end of Mondas. BEN: Hey, look! What's happened to them? DYSON: They must have been entirely dependent on power from Mondas. Having taken on a role as something of a Cyber-consultant it won't surprise you to learn that Gerry Anderson was also behind their return opposite the Second Doctor in Tomb Of The Cybermen. By that time they'd had something of a redesign, and no longer looked like they were walking about with toilet rolls on their heads! Two selves on for the Doctor Davis was back to write Revenge Of The Cybermen, seemingly universally recognised as the weakest of his efforts. 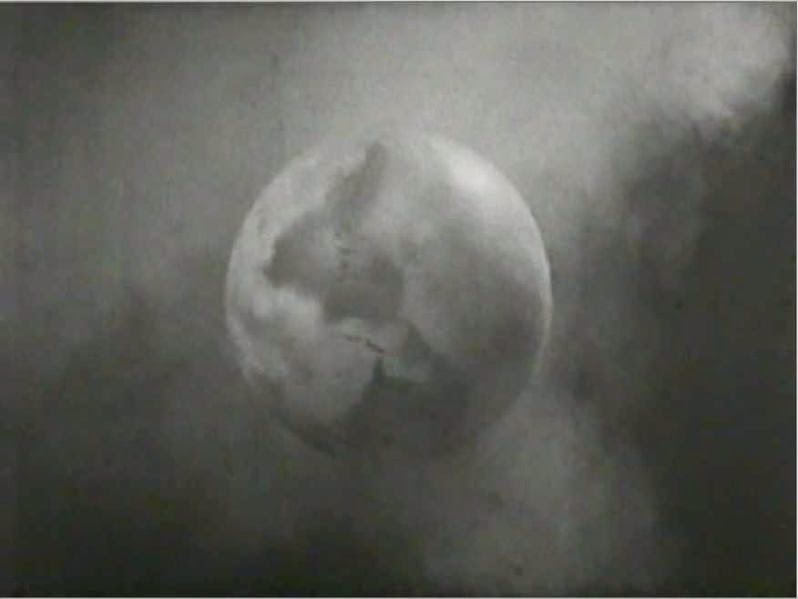 It may well be that the poor reception for Revenge of the Cybermen convinced producers that there was no demand for such an origin story, or alternatively they may have just decided against commissioning another script from Davis, because the Cybermen themselves would appear in Earthshock. Great secrecy shrouded the return of these classic foes for the penultimate story of the very season Genesis Of The Cybermen had been proposed for! The story features the death of yet another of the Doctor's companions - maths swot Adric sacrificing himself to prevent yet another Cyber-scheme from coming to fruition. 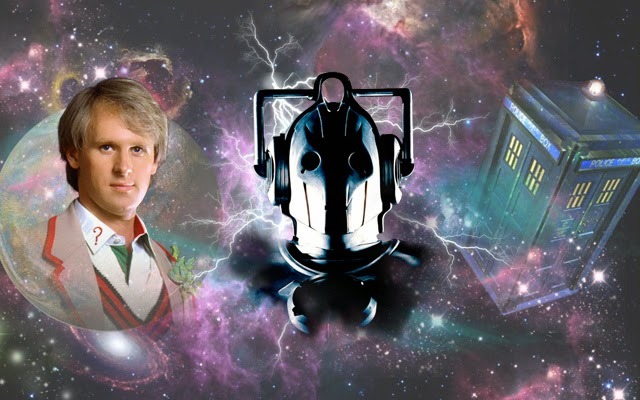 If all this has left you wanting more, try the audio story Spare Parts – featuring the Fifth Doctor & Nyssa- which adopts/adapts ideas from Genesis Of The Cybermen itself, and you can read more about that here.